Amarela Beach Resort’s facilities aim to provide a most fulfilling holiday for our guests. More to that, our eco beach resort implements green hotel practices. We recycle, reuse, and rehabilitate for sustainability. 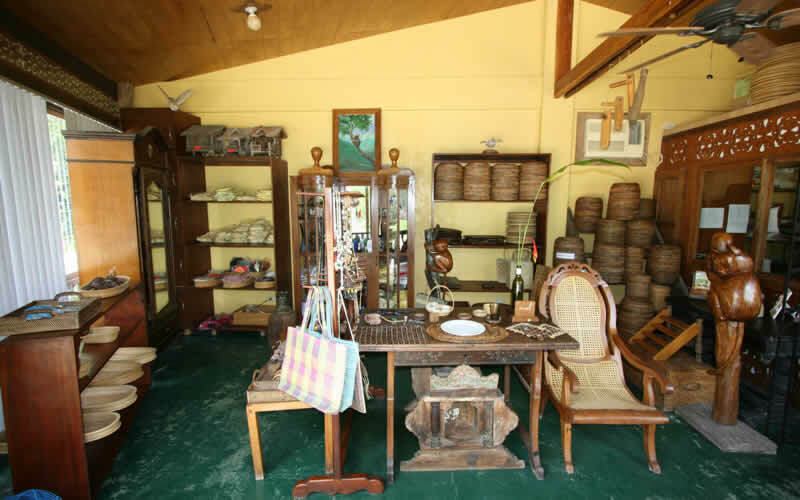 Amarela also helps boost the environment and economy of Bohol by presenting eco holidays. We integrate local flora in our landscape and buy local handicrafts and cooking ingredients. 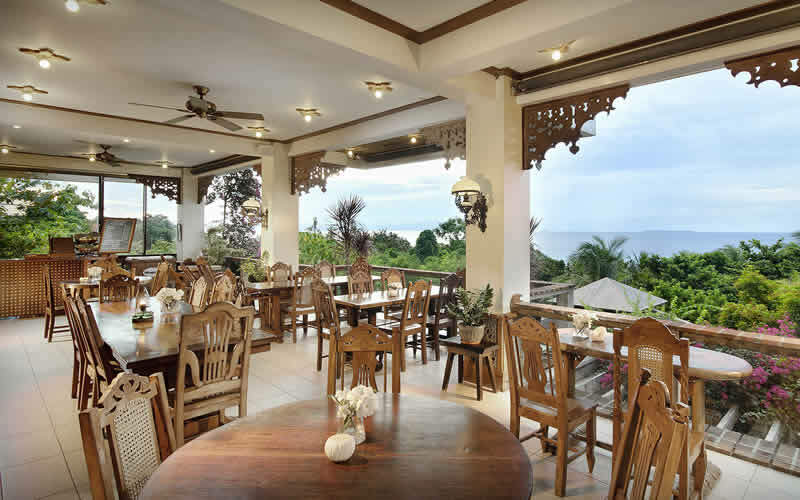 Restaurant – Satisfy your craving for scrumptious seafood dishes and flavorful Filipino meals at our restaurant. Our menu includes breakfast sets and dessert selections. 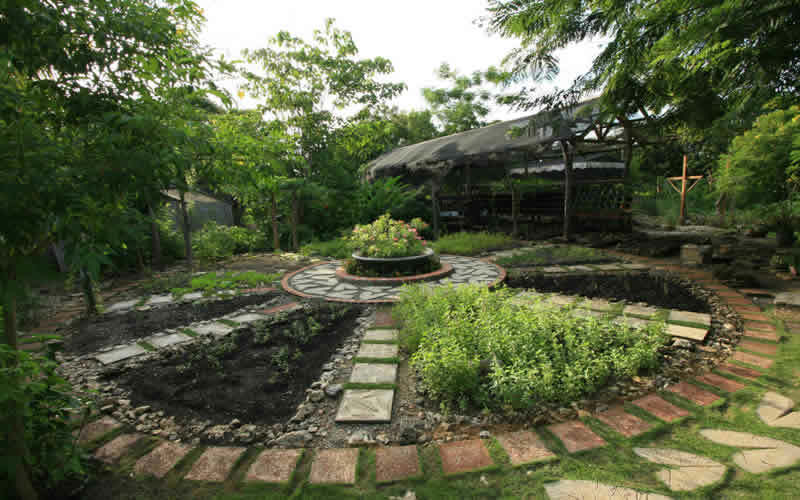 Herb and vegetable garden – Using organic methods, our Bohol tropical resort grows herbs and vegetables such as tomatoes, eggplants, basil, and tarragon. The produce is used in everyday dishes offered at the restaurant. 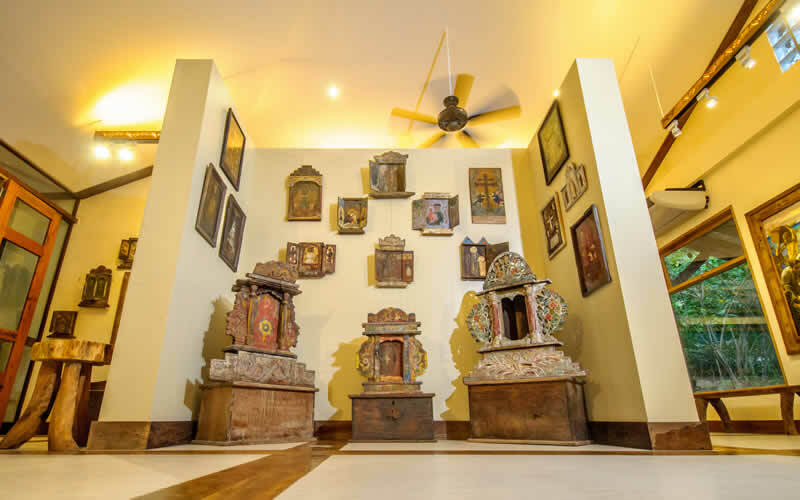 Art gallery – Our gallery showcases paintings, sculptures, and antique furniture in the Philippines. Intricate woodwork crafted by local artists and young talents are also on display. Boutique – A selection of handicrafts and accessories sourced from local artisans, community cooperatives, and our wood shop is sold at our boutique. Basic holiday necessities such as toothbrush and sunscreen can also be bought here. 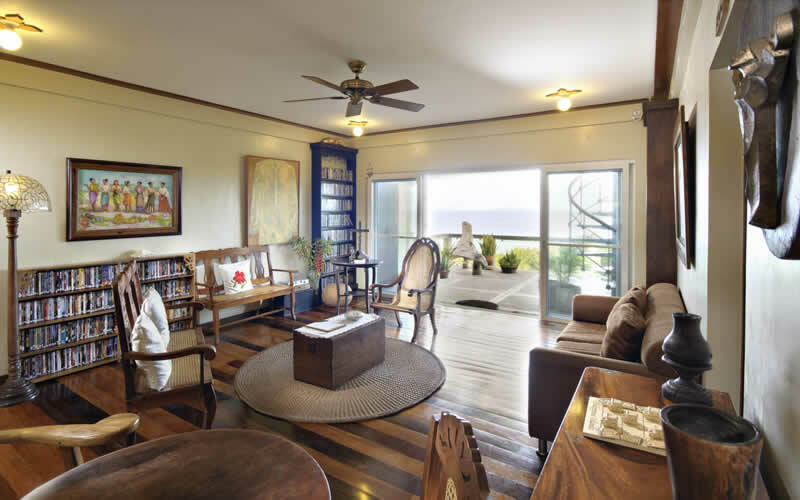 Amarela Library – Unlike other Panglao, Bohol resorts, Amarela has a library that houses an impressive collection of almost 2,000 books (fiction/nonfiction/coffee table), DVDs and board games available to guests. All these Amarela Beach Resort’s facilities and services guarantee that comfort and convenience is always at your fingertips.